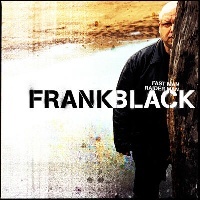 Following the critical success of 2005s Honeycomb, Pixies icon Frank Black will see the release of his ambitious new double-CD, Fastman/Raiderman, on Monday 19th June. Paired again with producer Jon Tiven, the 27-song CD was recorded over a two-year period at studios in Nashville and Los Angeles, and slams a bit harder than the laid-back Honeycomb. Fastman/Raiderman features some of the most celebrated players in music, including Levon Helm from The Band, Tom Petersson from Cheap Trick, Heartbreaker drummer Steve Ferrone, the legendary Al Kooper, honky-tonk hero Marty Brown, songwriting enigma P.F. Sloan, and Simon Kirke from Bad Company and Free, as well as Honeycomb returnees Steve Cropper, Reggie Young, Buddy Miller, Spooner Oldman and Chester Thompson, to name just a few. For Black, the recording of Fastman/Raiderman was a bit of a homecoming. On Honeycomb I was walking on eggshells, he admits about his renowned back-up band. These guys are still legends, but now that wed hung around a bit, I was more at ease. Songs on Fastman/Raiderman include the somewhat bizarre Kiss My Ring, the almost hallucinogenic Dog Sleep, and the overlay of the lyrically obscure and the body-punch, visceral groove of In the Time of My Ruin. Highway to Lowdown, Sad Mans Song, and Where the Wind Is Going were originally recorded for Honeycomb but didnt match that albums laid-back feel so have been in hibernation until now. Fitzgerald and Elijah look back to when Black and the Pixies were just beginning to turn rock music inside out from their home base in Boston, and My Terrible Ways is a true, tragic story of heroism in the devastation in Mississippi from Hurricane Katrina. One of Blacks favorites is the track Raiderman which was recorded one lazy summer night at Tivens house in Nashville. It boasts an accompaniment from a chorus of cicadas chirping in the backyard and Tivens dog Sammy, who made himself heard right before the second verse. That provides a nice backdrop to this tale of a Polish coal miner who lost his legs to the coal train, Black says. He ends up being a security man after he gets fired by the coal company, chasing the Raiderman away. We gutted it out on sheer adrenaline, Tiven remembers. By the end things were getting surreal and we were just going with the untamed forces of the universe. If youre halfway between waking and sleeping, you can do things with a song that might not normally seem possible. Black plans to put together a band that can support the songs on Fastman/Raiderman and hit the road later this year. First, he'll join his Pixies bandmates on a European summer tour. Photo: Keilen Photography Pixies will return to the UK and Europe later this year. Pixies tickets go on general sale at 10am today, priced from £39.50 (£45 for London) plus fees. Photo: Keilen Photography Pixies will tour the UK and Europe later this year. 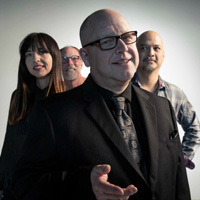 Pixies have announced a new album.